Do you have a customer seminar or advisory board coming up in the next few months? Are you looking to add a new element of creativity to your event to offset the monotony of all-day PowerPoint marathons? Consider hiring a graphic facilitator. Graphic Facilitation is the process of translating complex ideas into words and pictures in real time. You have probably seen graphic facilitators at shows you have attended over the past few years. A graphic recorder will listen to the speaker then transcribe in real time a visual depiction of your ideas on a large whiteboard. 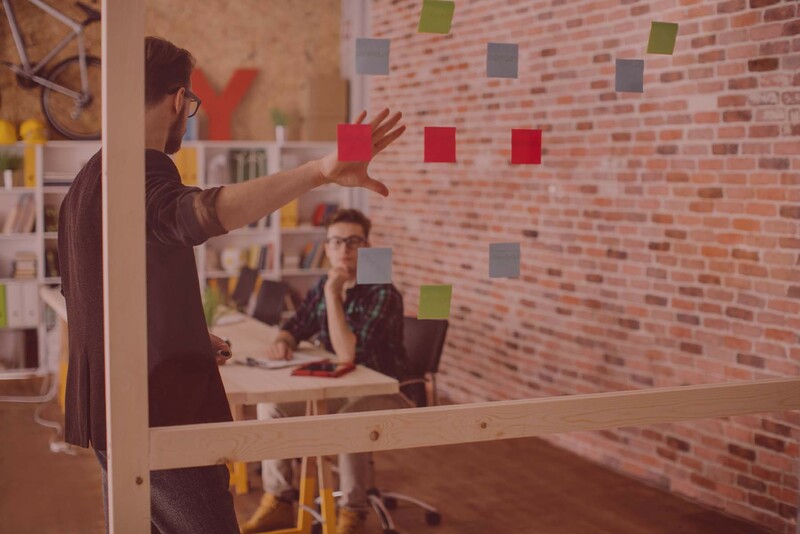 The end result is that the ideas in your presentation are turned into a large storyboard. 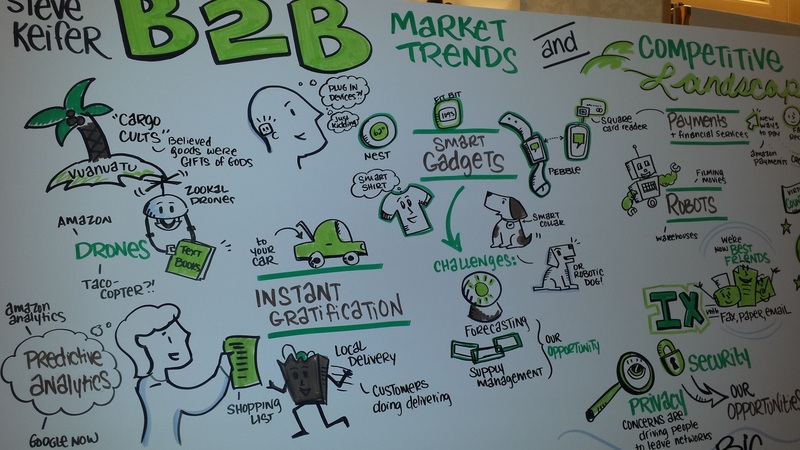 What is amazing is that these graphic recorders can create these illustrations live without ever having seen your slides or heard your presentation. Here is an example of a graphic created from one of my recent presentations. Most conferences are PowerPoint marathons. The lights go down. The phones get pulled up. People start to disengage. Graphic facilitators can help to bring new levels of energy to your meetings. With smaller group sessions, attendees can watch the ideas being transcribed in real time. Many people learn better when they can see visual depictions of a concept in addition to hearing a presenter speak. And I find that these types of graphics help you to see the big picture. Audience members can review the storyboards later in the event to recall the key ideas that were discussed. Don’t be surprised if you see a crowd of audience members standing around the graphics at breaks taking photos with their smartphones. These visuals are great to capture and share on social media.